Look, Ladies! It's Always Positive! 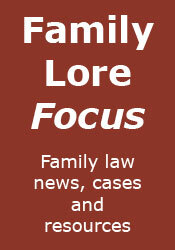 OK, so how do I become a FAMILY lawyer? Who wants to be a DCS?